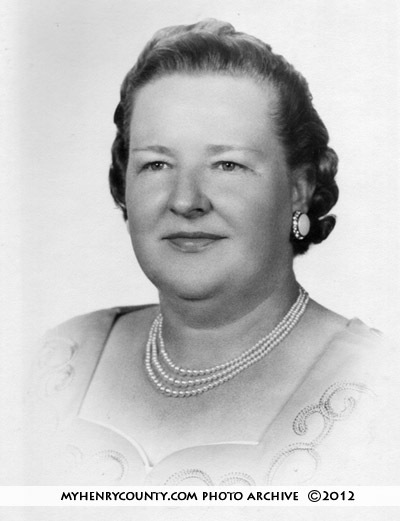 Odessa and her husband Sam Fretwell operated a grocery store in Fieldale, VA in the 1950s and 60s. Around that time there were 2 grocery stores: one on the upper street and one on the lower. The Fretwell's operated the upper level store; I think it was called the Fieldale Grocery. Odessa was also an excellent duckpin bowler. At that time the Fieldale Community Center had a bowling alley along the side of the building nearest the high school. In this picture Odessa looks something like Kate Smith, the famous singer. It is an excellent photo, long awaited here and so very welcomed in our archive. Read more information about the Fretwells under the listing for Sam Fretwell here. Your name and email address won't display on the site unless you include those in your comment.